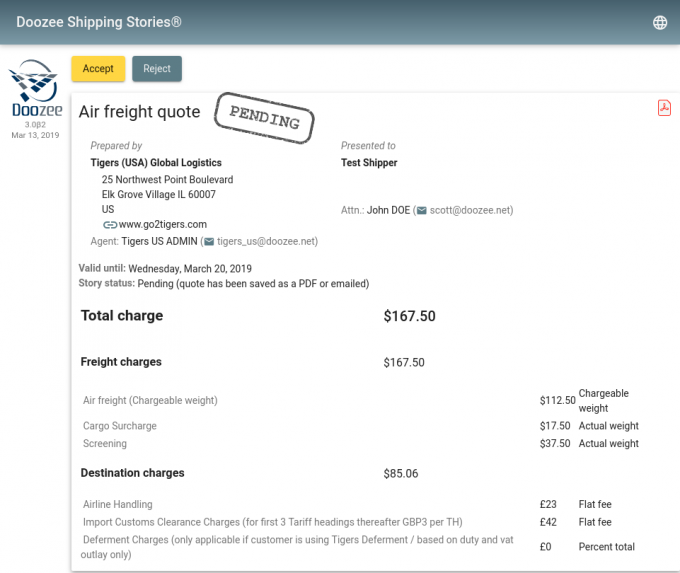 Tigers has become the launch customer for a new instant freight rate quote engine. The data is currently derived from a variety of sources, including Tigers, but Doozee is looking to expand its offering to incorporate carrier rates directly. “Doozee manages rates from a number of sources, according to the needs of the forwarder,” Tigers chief executive Andrew Jillings explained to The Loadstar. “First, they provide seamless integration with a number of rate management service providers (companies like Catapult and 7L). 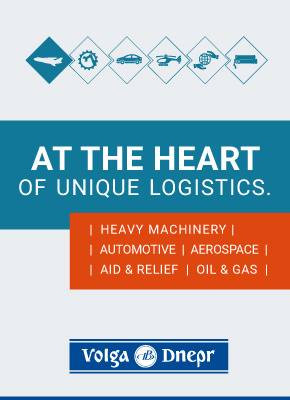 For these, they provide access to both forwarder-specific contract rates, as well as the (much larger) set of generally available carrier rates offered by the carriers through the service provider. “Second, they allow input of rate sheets in a familiar Excel spreadsheet format, for cases where rates are managed by the forwarder internally. The first phase, which has seen all Tigers’ data uploaded to the cloud-based platform as the launch customer, helps forwarders enter and manage the rates they are offering customers, who can then respond in seconds via email or as an online link. The free of charge, plug-in and play system is “open”, and will eventually show the full end-to-end cost for all types of freight, enabling the customer to compare rates and services. “The first phase of the system is for forwarders to enter and manage their rates, and those will all be different depending on the contracts they have,” said Mark Gatenby, chief information officer for Tigers. “They can then use this portal to create instant quotes for their customers. The key second phase is for these rates to be made public and these customers can then get publicly available rates. Doozee founder and tech entrepreneur Scott Deerwester said: “Tigers is a forward-thinking global company, and, as a technologist, I share their commitment to embracing digitalisation, which makes SmartHub:Connect the perfect platform to launch Doozee.